The contemporary art scene in London, and across all the major art centres globally, is rich and diverse, and constantly evolving. Navigating this world can be daunting, even for the most dedicated collectors. A-Consultancy offers bespoke, independent advice and support to help art collectors and enthusiasts alike discover and access the best works of established and emerging artists. 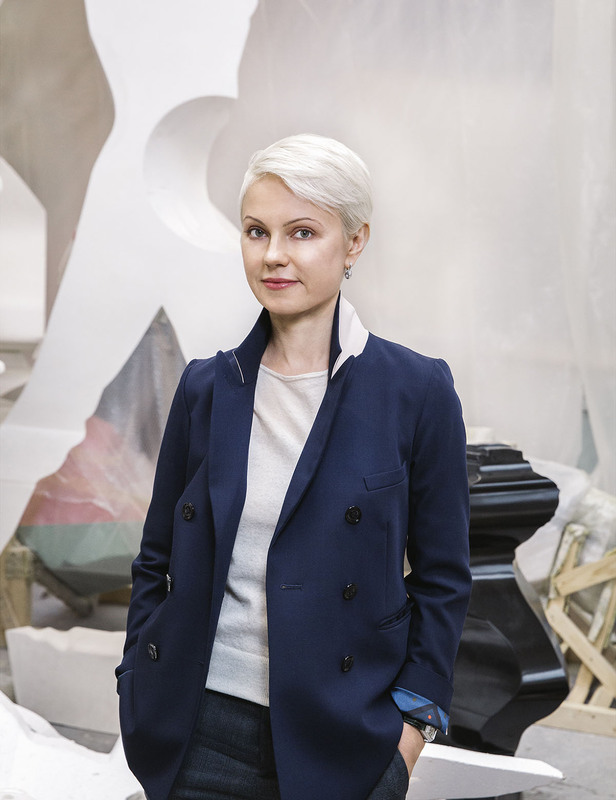 Led by Olga Ovenden, a professional and passionate art advisor with over a decade of experience in the art world, A-Consultancy has an extensive network of contacts and provides expert advice on building and managing existing contemporary art collections, as well as starting new collections in this exciting field. Growing an art collection with trusted advice from A-Consultancy. From appraising existing collections and advising on collection development, to sourcing new works, providing acquisition support and assisting with all aspects of collection management, we work as a trusted partner with our clients. We also assist clients with special projects including sales, exhibitions and philanthropy. We aim to provide a highly personal service, based on a deep understanding of our clients’ preferences and objectives. This means that we take the time to understand what drives and inspires our clients. With our extensive network of contacts and in-depth knowledge of the contemporary art scene, A-Consultancy is very well-placed to ensure our clients navigate the London and international contemporary art market, confidently and successfully. Our advice is always personal, independent and transparent – you can be sure that we are working for and with your interests and your collection at heart. The contemporary art world is rich with galleries, museums, fairs, and biennials – each with its own artists and programmes, and each presenting a different experience for the art lover. A-Consultancy helps enthusiasts and collectors access the best events and to navigate the most exciting offerings in London and across the major art centres. Our Art Group tours are an ideal mix of education and inspiration, and bring together small groups of art lovers for special gallery walks, Frieze Art Fair tours or sell out exhibitions. Consult the diary for details of upcoming Art Group tours to book your place. olga@a-consultancy.co.uk to discuss your requirements. Contemporary art walks and excursions for art enthusiasts and art lovers alike. Our term starts with an exclusive opportunity to visit Photo London on its VIP day. In its fifth year, the fair that is dedicated solely to the medium of photography has become one of the most anticipated events on the contemporary art circuit in London. VIP passes to the fair are included. We explore contemporary art programs offered by the galleries in this corner of London's West End. More details upon RSVP. We invite you to experience the vibe and energy of London’s creative heart. Still alive and kicking Soho is home to many art galleries and spaces. We explore the best exhibitions on view and meet dealers and curators. More details upon RSVP. During this tour we will explore the most exciting exhibitions in Mayfair galleries - traditionally the domain of the established artists. More details upon RSVP. Peckham Galleries Tour and Bold Tendencies. Not to be missed, the tour is a rare opportunity to experience the vibrant community of younger generation galleries in this dynamic and fast changing area of South East London. We will also be able to catch the latest itineration of Bold Tendencies, the public exhibition of contemporary sculpture located in disused car park. More details upon RSVP. We set off on a quest for the future greats - just fresh out of the numerous and highly respected London art schools the works on show will make you want to become a collector! The most important event in the contemporary art calendar, the Venice Biennale is upon us again. Please join us for a unique opportunity to experience this most vibrant, global event in an inspiring weekend of cutting edge art, sunshine, sea air and enjoyment, all set against magnificent backdrop of Venice. Please get in touch to register interest and receive further details. FEW SPACES REMAINING - PLEASE GET IN TOUCH ASAP IF INTERESTED. We invite you on a magical journey through the past and present of Russia set in its two spectacular capitals - Moscow and St. Petersburg. Four days spent immersed in the cutting edge contemporary art scene, architecture and avant garde theatre - let the Russian charm take your breath away! Please get in touch to register interest and receive further details. Tour of Edgware/Marylebone Road Galleries and Spaces. A-Consultancy was established by Olga Ovenden, who has been part of the London art world for fifteen years. She has a wide network of contacts in the international arts industry and a thorough understanding of its evolving markets. She has been a curator, a gallerist and an art advisor, and has worked at the David Roberts Art Foundation and the gallery waterside contemporary, where, as a director, she organised exhibitions, represented artists, and worked with collections. Olga has supported numerous clients, for example a family collection looking to contemporary art for the first time, facilitating research and acquisitions of over forty works. Many of the Art Group members have graduated to become passionate collectors, and Olga has advised across all art mediums. She holds an Honours Degree in Fine Art Photography from the University of Westminster, a Masters in Contemporary Art from Manchester University, and also a Law Degree from Moscow State University. You can follow Olga’s travels in the art world on Instagram or on the diary pages, where you can also book places on Art Group tours.